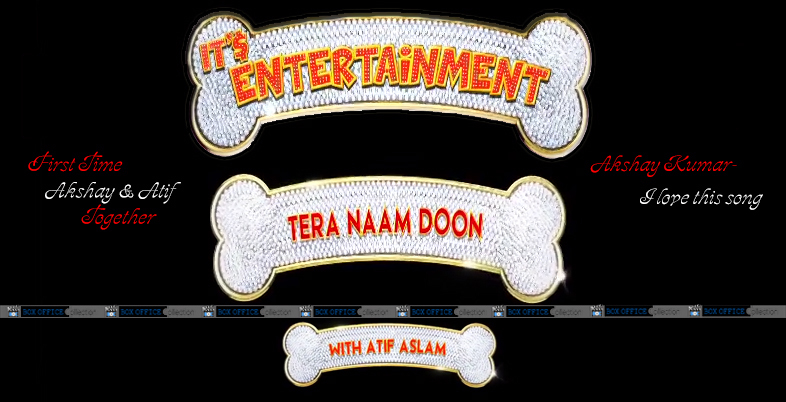 Finally the most awaited song of the month “Tera Naam Doon” from the movie Its Entertainment is released out now, you can find it on internet. The song is sung by the very popular singer Atif Aslam, who is the main reason behind the hype of the song. As per the report, it is the first song by Atif Aslam for Akshay Kumar, Akshay himself a great fan of Atif. The song is very pleasant to listen, Atif voice is always a heart relaxing therapy. Lyrics of the song is the strongest part, then the singer.